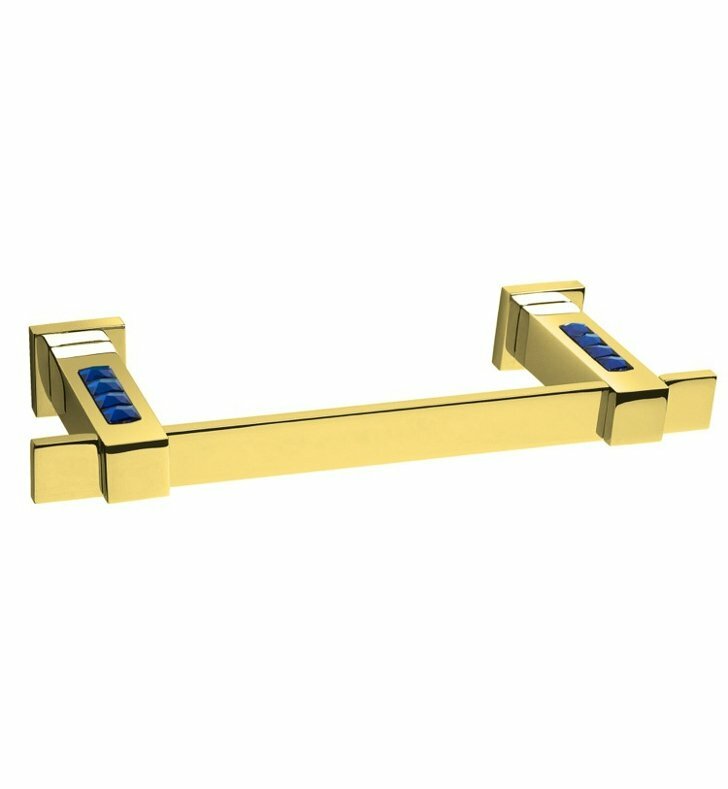 Begin with this Sleek modern & contemporary style wall mounted bathroom towel bar. Made out high quality brass with an elegant gold finish. Towel bar is embedded with decorative blue Swarovski crystals. Designed and made by Windisch in Spain. From the Windisch Square collection.